One of the first steps you can take to keeping a home looking clean and tidy is to focus on decluttering. However, it can be quite a nuisance having plenty of bed sheets, pillow covers and other types of linen without somewhere efficient to store them. If you’e been living without a handy storage space for your linen for some time, now would be the perfect opportunity for you to go through your old linen and start the entire decluttering process. Without an effective storage space, linen can easily attract the likes of dust mites and unwanted allergens that can leave you feeling uncomfortable during the night and worried about what might be causing regular sneezing or allergic reactions. Here are a few ways you can organise your linen to create a safer environment throughout your home. 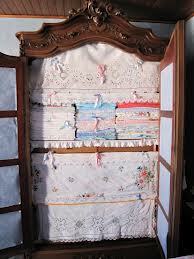 Start by looking through some of your older linen or linen that has permanently stained, as this can be thrown out. If you’ve found some old linen that you cherish, it might be a good idea to pursue some previous tips we’ve documented from our blog here at Apple Clean or visit one of our many specialised deep cleaning pages. The next thing to do is decide whether or not you’re overcrowded with too many sheets, pillow cases, bed covers, duvets, table cloths or perhaps even old mattresses. A lot of these will attract unwanted dust mites and allergens, so keeping your linen and fabrics down to a reasonable collection is necessary for any decluttering project. Finally, once you’ve organised the linen you’re keeping, you can prepare an efficient storage area. Whether you’ve got an old antique chest-of-drawers or possibly even a wooden storage trunk, there are countless ways of keeping linen neatly organised and out of the way. To improve circulation and keep your sheets feeling fresh, you can use a storage box with a lid instead.